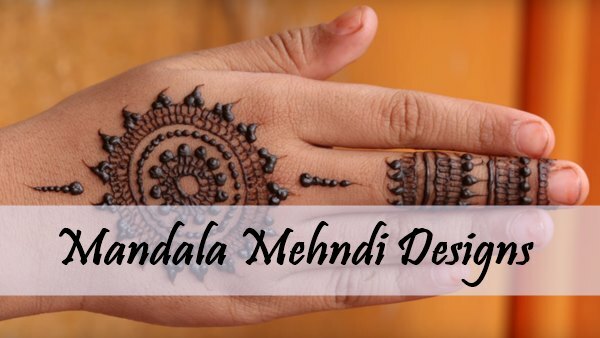 Welcome to Mandala Mehndi Designs gallery! 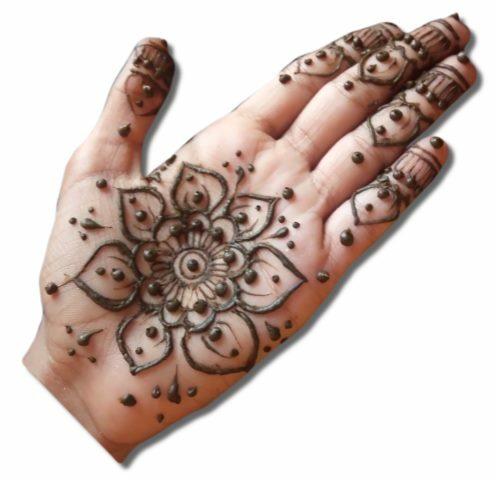 According to Wikipedia Mandala means Universe which is in a round circular shape and here we will go to show you Mandala patterns on the hands with the help of henna. 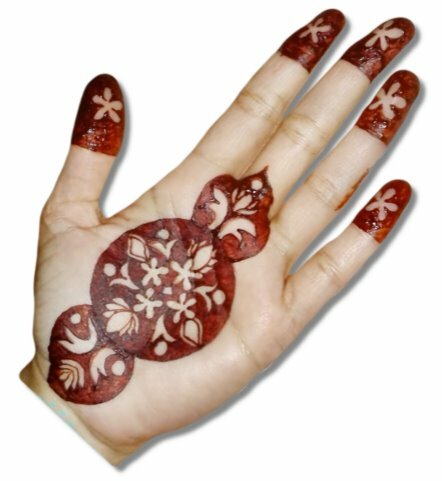 This is a very ancient art of Asian mehndi and popular across the countries like India, Pakistan, Bangladesh, Nepal etc. 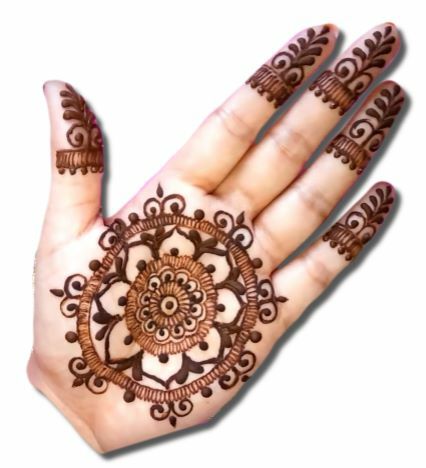 We will start with the first design of Mandala henna that is three dimensional. I think very few people will hear about 3D Mehndi. 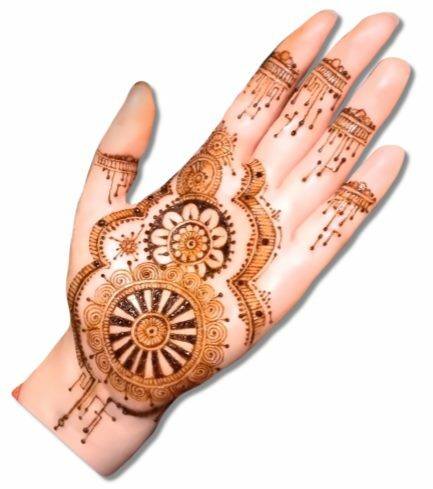 3D mehndi is nothing but looks like an object is placed on your hand. 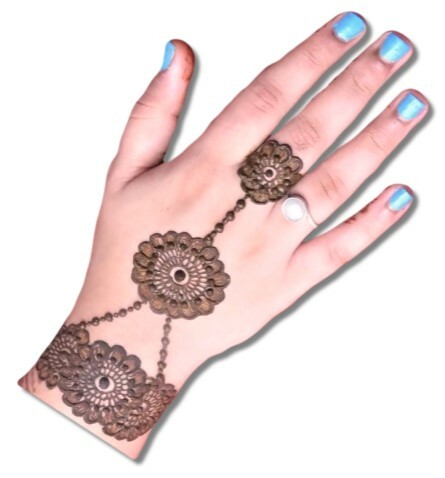 This design is made up of the combination of Arabian and Mandala Henna or we can say inspired Arabic Henna from Mandala. If you like this one then I am sure you will also like other Arabic Mehndi Designs. Every design is completely different from the previous one, here you will not get any repeated design. 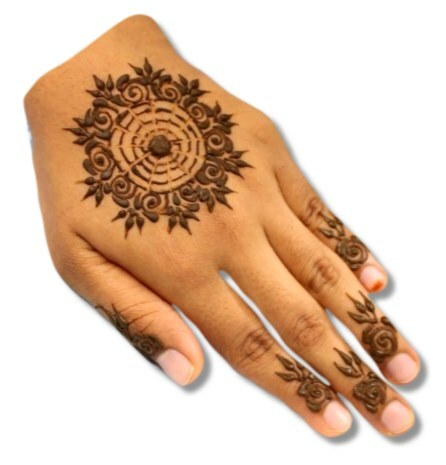 This design contains a simple Mandala on the backhand and beautiful horizontal lines on the fingers. 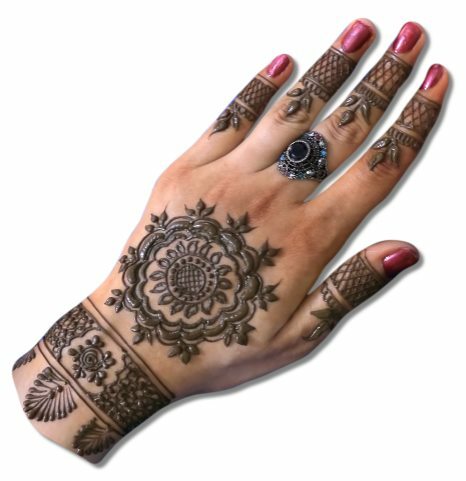 This design is a combination of bangle and Mandala henna. 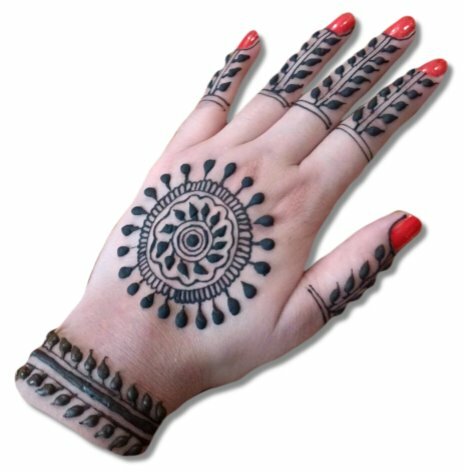 You can see a bangle made on the wrist and a Mandala drawn on the mid finger and backhand. 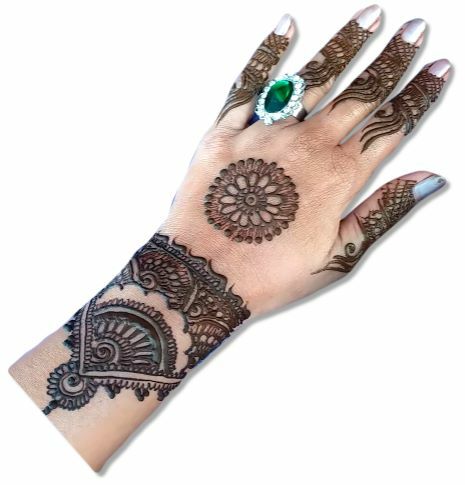 You can try more Bangle Mehndi Designs here. 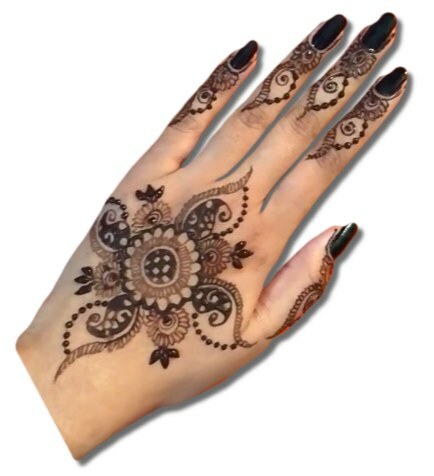 We can call this design a perfect design of circular henna because it is perfect for all its dimensions. There are very few designs that are liked by all the people and this is one of them. You like it, then you will also like these beautiful Mehndi designs. People who don't know about making Mandala Pattern they can try this easy Mandala Pattern that is especially for Beginners. 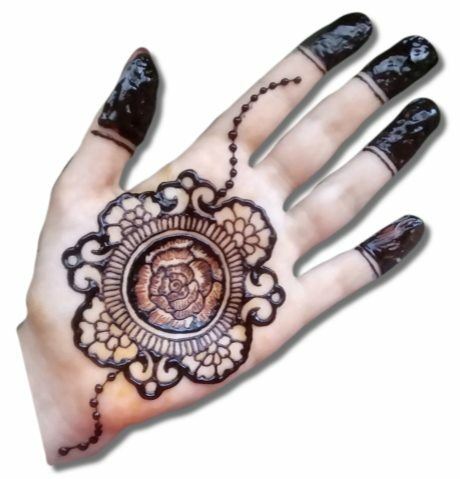 If you are really beginner then you will require more Easy mehndi designs. Every design itself tells for what purpose it will be drawn and this design is specially made for Eid festival. If you wear a ring with this designs it will give you a solid glow. 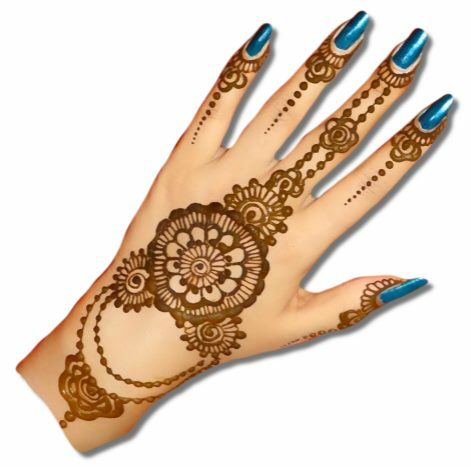 For the occasion like this view more Eid Mehndi Designs. You can use this design in any festival like Diwali, Holi, Karvachauth or where you want. It can be useable at birthday parties, kitty parties or any wedding. If you try to make flowers Mandala then it will also become. 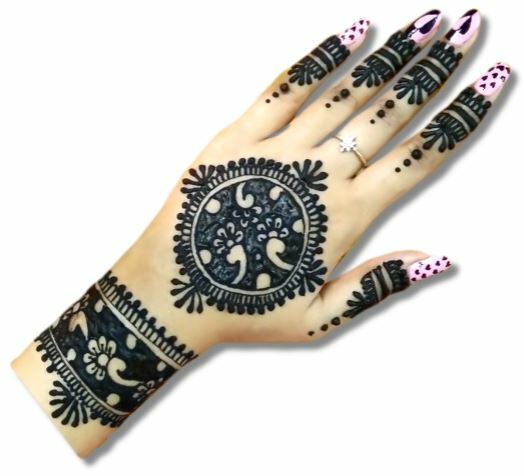 The design given below is one of the examples of flowers Mandala and you can choose any separate flower mehndi designs here. Do you wear a ring in your hand and want a design that is full handed and matches with your ring then you will not get the better design from this. It will attract & stun everyone with its special wrist design. Let me tell you popular Mandala henna art has begun from India. 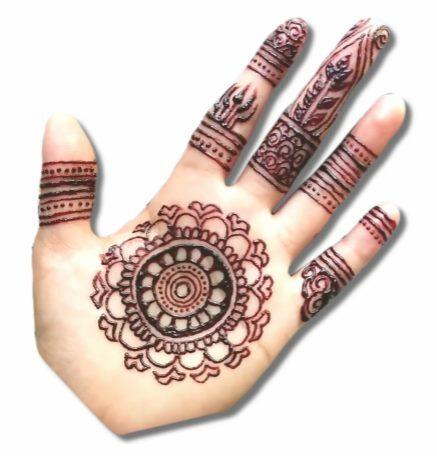 So I want to introduce you with pure Indian Mandala pattern or we can say this is a traditional form of Indian Mehndi Designs. The jewellery is one of the essential things for women, without ornaments we think our culture is incomplete. 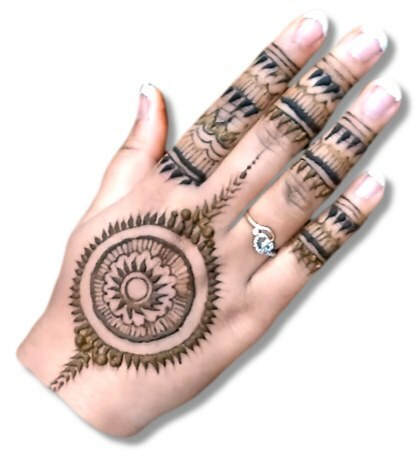 So we also come with Mandala pattern with a combination of Jewellery Mehndi designs. 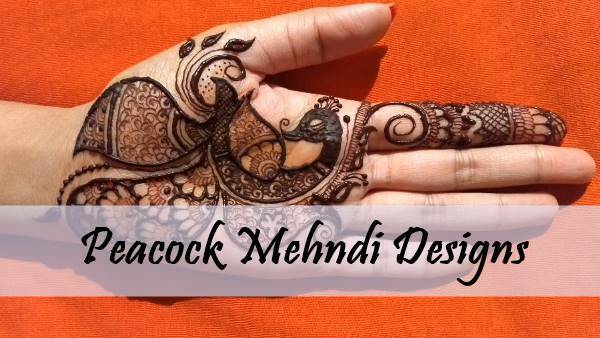 This design is also called blank space mehndi pattern because in this a design is turnouts in the blank space. You will see such patterns very rare because this is a latest mehndi design form. Where there are so many good designs given to everyone, we thought there should be designs for children too. For children, we also created a separate gallery where you find especially mehndi designs for kids. 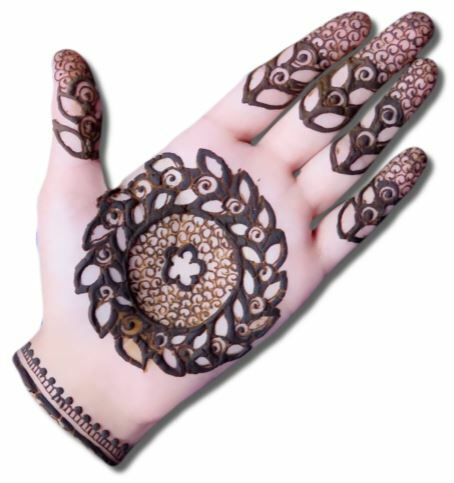 Now we will talk about such designs that are very popular all over the world, we talk about Pakistani henna. There is also a very rich culture of mehndi in Pakistan and you can find here more Pakistani Mehndi Designs. Sometimes we only need a palm design because we don't want a full hand design at that time. You can see a perfect Mandala on the palm and it can be useful at that time. Let's find more Palm Mehndi designs. 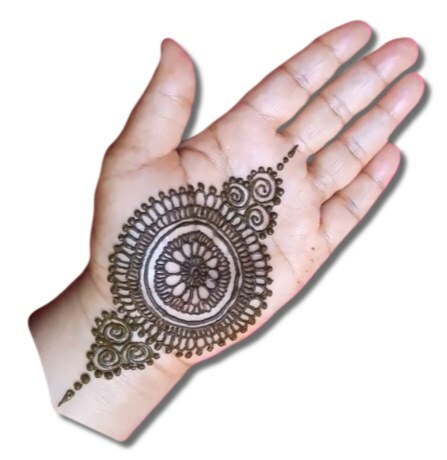 Now we will talk about the simplest pattern of Mandala henna which is very easy to draw. To draw it you have to start from the centre of the hand. 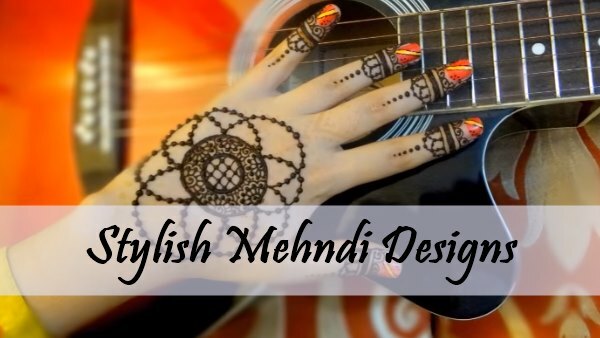 And here more simple mehndi designs are waiting for you. Youngster always looks for something stylish in the designer world. 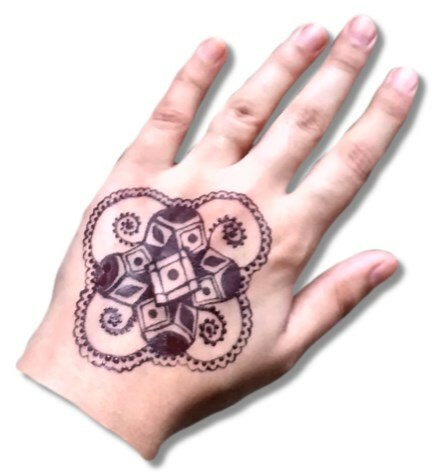 This stylish Mandala is going to be the favourite design for all youngsters who like henna art. 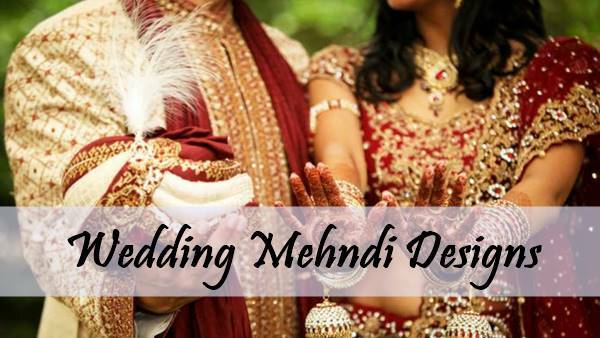 Here a stylish mehndi designs gallery is waiting for you. Special mandala's backhand design is also being introduced for teens too here. This design is special for those teenagers who are studying in the schools. If you don't like it don't worry you will definitely find here other suitable design. You can see the uniqueness of this design, it seems like where a Mandala is tied with hand with the help of rosary. But as soon as you look at the pattern of fingers, you will start to like this design and more. 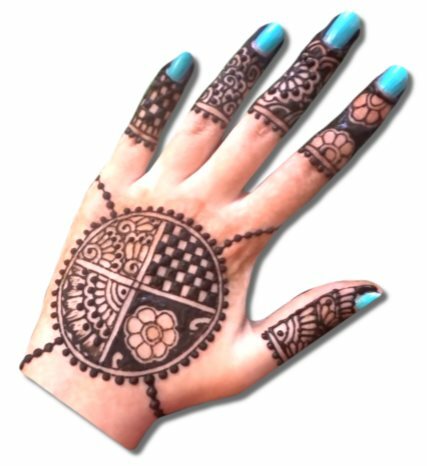 Hope you tried these Mandala Mehndi designs and got a wonderful and wonderful experience. According to me, these designs will definitely give you a positive wave of belief in yourself.